Tak jsem to zkusila, vytvořila jsem jednoduché přání s využitím dvou odstínu šedé. so I tried to create card with 2 shades of grey. 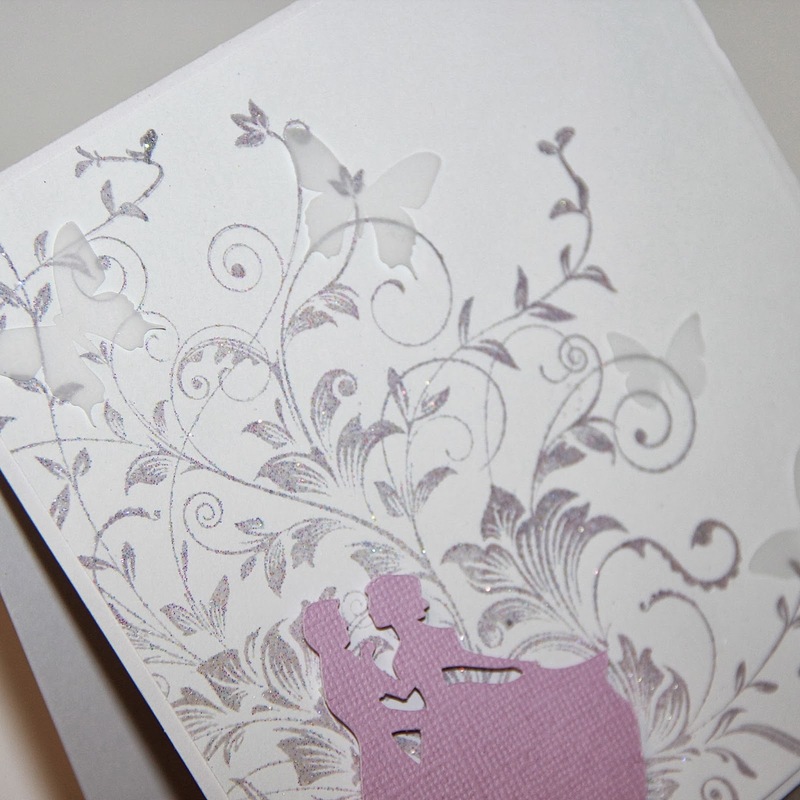 I used color box ink and sparkle clear embossing powder and amazing Hero Arts background stamp. 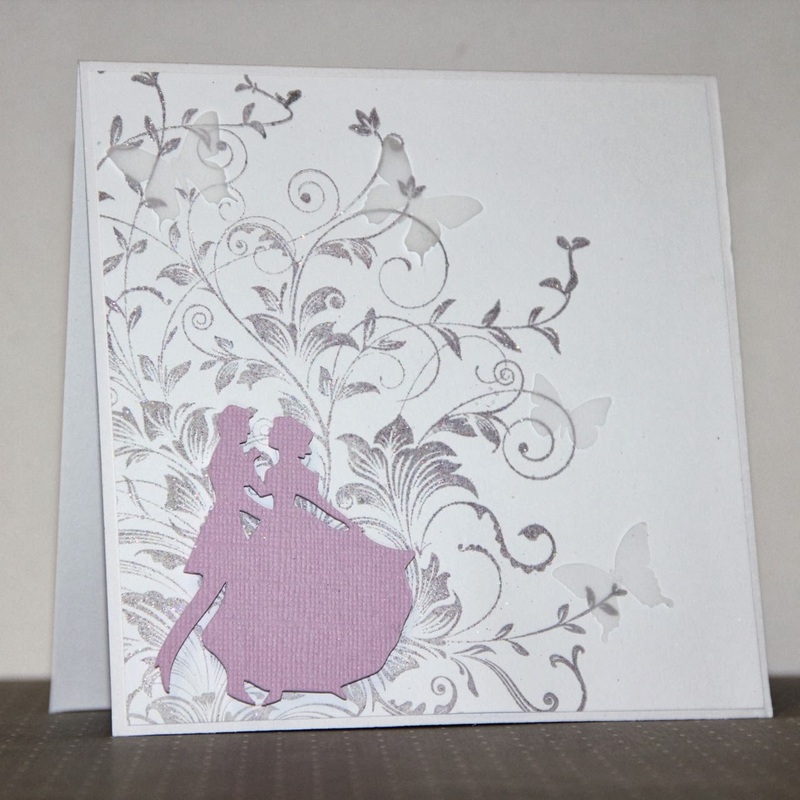 Silhouette I cut on my Cameo machine and also vellum butterflies. 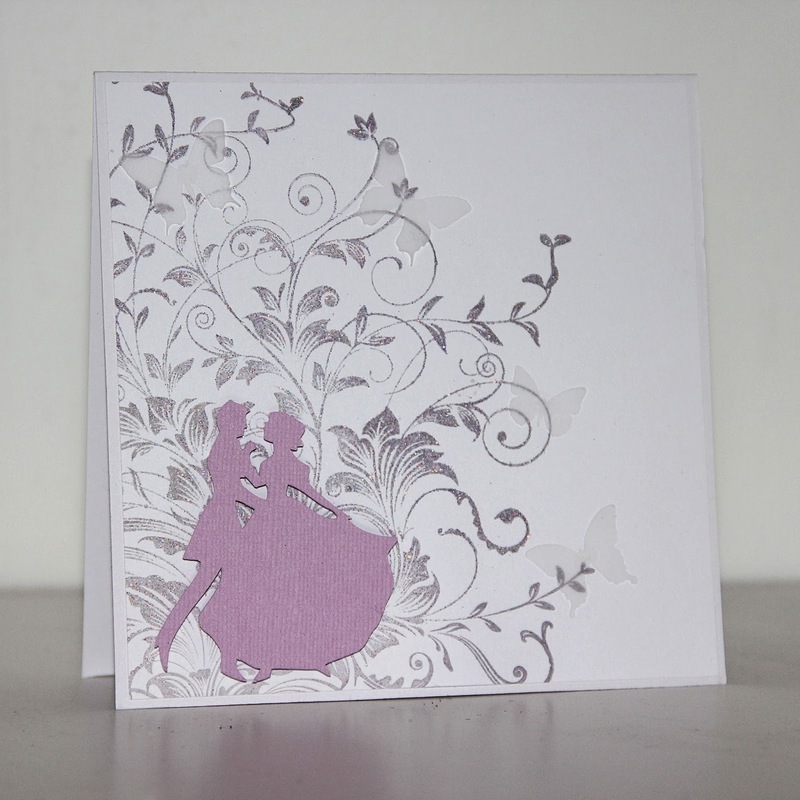 It is easy and elegant card. That is one of my favourite HA background stamps. Love the theme. Thank you so much for sharing with us at CAS-ual Fridays! 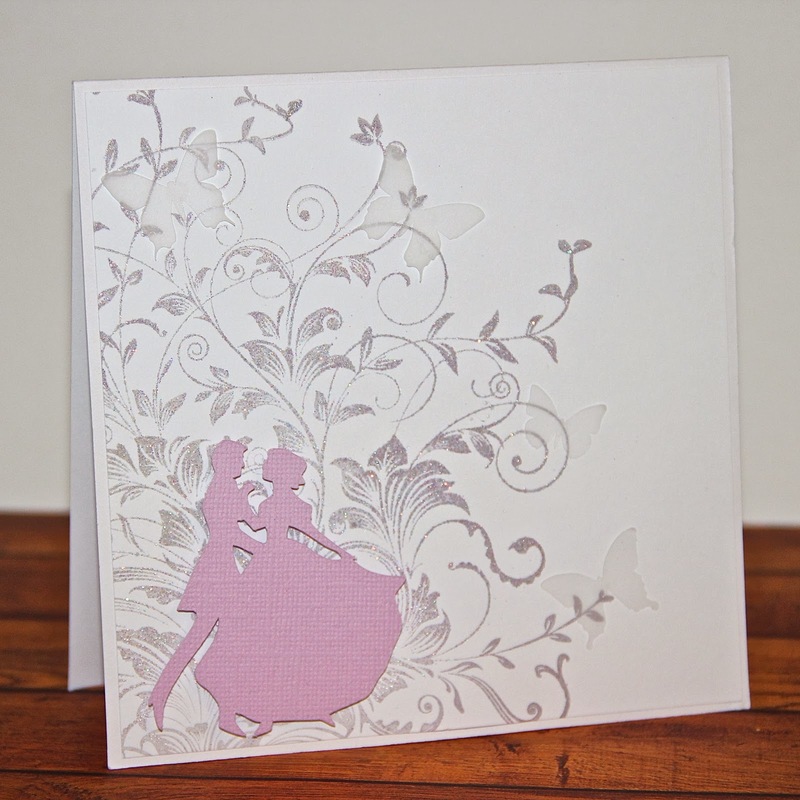 Great idea to add the silhouette couple! Thanks for joining CASual Fridays!